This striking set is excellent condition. It is all original with the exception of correct replacement grille cloth. The drum dial has a backlight pointer; great for evening listening. 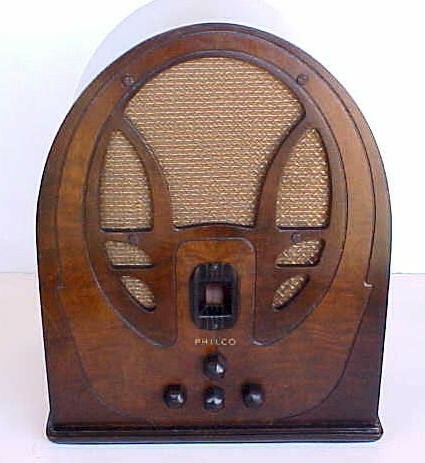 Even the original Philco decal is perfect. The set has been serviced and plays loud and clear. Ready to display and enjoy. 16-1/2"H x 13"W x 9"D.